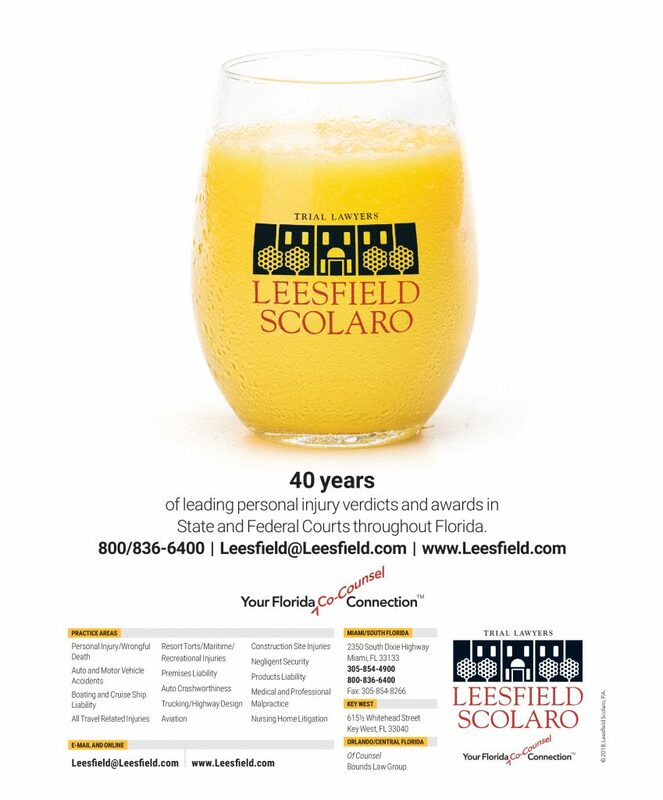 Lawyers in Central Florida and the East Coast have been a consistent source of new cases and, of course, our 40-year history in the Florida Keys is supported by former clients, out-of-state visitors and local community members, as well as members of the Monroe County Bar Association. In the first quarter of 2018, our lawyers and staff have worked on diverse subject matters ranging from cruise ship, medical negligence to gun safety. The entire team of lawyers and staff work in a seamless fashion to bring about significant results for our very important clients and co-counsel. Our senior staff is composed of a dedicated corps of experienced and empathetic legal assistants and administrators. As gun safety becomes a bigger and more prominent issue, we are very proud of Partner Tom Scolaro’s work in exposing design and manufacturing defects against negligent gun manufacturers and distributors. Gun safety and the prolific sale of weapons is a topic of daily public scrutiny and we welcome inquiries and comments about this important topic. Wrongful death of 35-year-old athletic man suffering from pancreatitis misdiagnosed by the negligence of emergency room doctors at a South Florida hospital. 45-year-old longshoreman supervisor lost both legs when he was run over by a negligent top loader operator crushing him under the weight of heavy machinery. We thank all of our friends and colleagues in Florida and across the country for thinking of us and including our Firm as co-counsel.